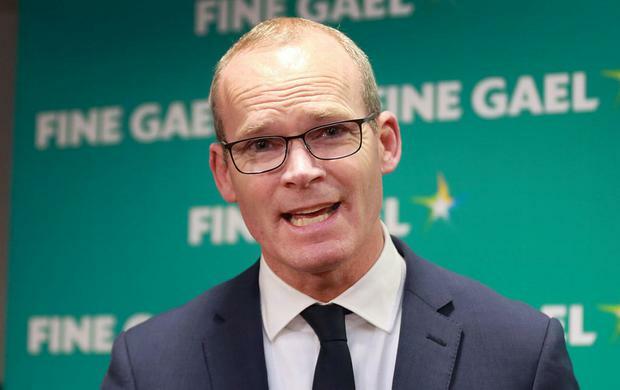 US officials are said to hold "palpable concerns" about the impact of Brexit on Ireland and the Good Friday Agreement, as Tánaiste Simon Coveney met with congressmen and foreign ministers in Washington. Members of Congress warned last night that any return to a hard border in Ireland could threaten a post-Brexit trade deal between the US and the UK. Mr Coveney attended a meeting of the Coalition Against Isis in the US yesterday with ministers from more than 70 countries. Brexit was one of the issues discussed by ministers and officials in the margins at the meeting. The Tánaiste is said to have used it to enforce a message that Brexit will have negative consequences for Ireland and the North. A source said it was recognised that Brexit and the Good Friday Agreement go "hand in hand". US Secretary of State Mike Pompeo also met with Mr Coveney at lunchtime yesterday, with Brexit high on the agenda alongside presidential elections in Venezuela. Congressman Richard Neal, who chairs the House Ways and Means Committee which will oversee any future trade deal between the UK and the US, and a group of Irish-American politicians also held discussions with Mr Coveney at the launch of a new strategy aimed at boosting tourism numbers from the US and Canada. The congressman said that while it is in the interest of the United States to have a bilateral trade agreement with the UK, he will continue to raise concerns over a return to a hard border. In a letter from the Friends of Ireland Group to Taoiseach Leo Varadkar and UK Prime Minister Theresa May, prominent Irish-Americans warned Brexit could jeopardise the Good Friday Agreement. Sources close to the discussions denied the meetings were viewed as an opportunity to get officials to "pick a side on Brexit" but conceded it was an opportunity for Ireland to put its case forward. "Brexit is really occupying the minds of people here," a source told the Irish Independent. "There is palpable concern over the effects of it on Northern Ireland." Mr Coveney was briefing representatives on the affect of any Brexit fallout on Ireland and the Border region. He will hold more meetings today with the Irish caucus on Capitol Hill.